On the 15th of January ASHRAE Ireland kick-started its spring schedule with an event in Cork Institute of Technology focusing on the topic of evaporative cooling, the legionella risk and its application to data centres. 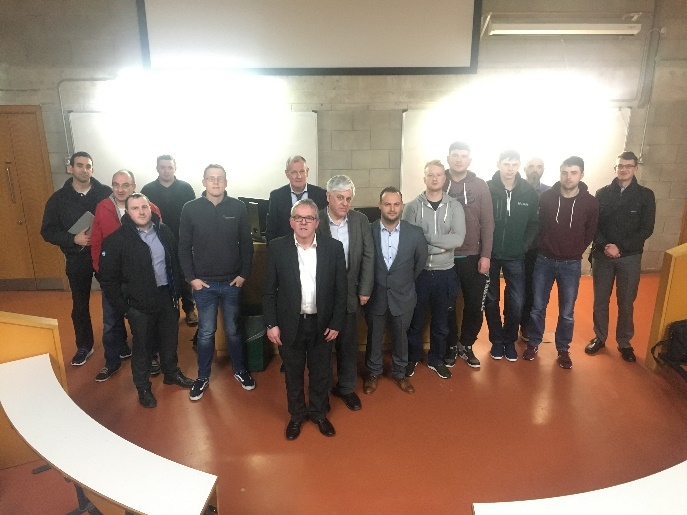 Initially, Seamus Kerr began the event with a presentation about Legionella in water and cooling systems. The presentation (click here) covered areas concerning national legislation, control measures and best practices. In an overview of the “National Guidelines for Control Legionella in Ireland 2009”, he stressed the need to conduct risk assessments for legionella and indicated the principal legislation in the area for Ireland. Walking the audience through the disease, the number of cases and sources and development of Legionella, he highlighted the different sources of Legionella by different water uses and that intervention are earlier parts of the development of Legionella is crucial and maintenance is a key role in prevention also. 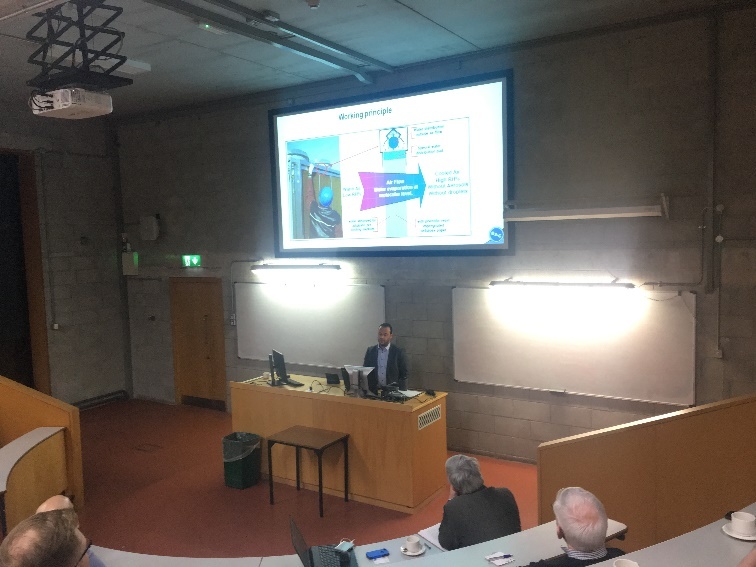 As cooling towers, humidifiers and spa systems are at higher risk due to operating temperatures he focused the end of his presentation on evaporative cooling in cooling towers and showed the best practice for ensuring that cooling towers stay clear of Legionella risk. He showed the cost-benefit of evaporative systems as a result of lower the condensing temperature and he highlighted that nationally the Sustainable Energy Authority of Ireland (SEAI) are offering grant aid up to €500,000 from moving from dry systems to wet systems, for energy saving purposes. In his final remarks, he highlighted that evaporative cooling could be a crucial measure at reducing national emissions going forward. In the second of the evening’s presentations, Tom Bosmans from Baltimore Aircoil gave a presentation on adiabatic cooling and its application to data centres. Starting his presentation, Tom highlighted that cooling is a basic need for today. 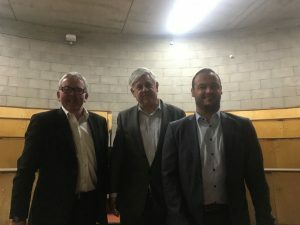 Initially, he discussed the different spraying techniques, methods and systems and showed that they have many issues and drawbacks, focusing on cost, maintenance and scaling issues. This process led to in the development of a dry cooling system with adiabatic pre-cooling. He highlighted the advantages and disadvantages of adiabatic systems that are used for pre-cooling. One of the main benefits being that they reduce or eliminate the presence of water droplets and aerosols, and reducing scaling or corrosion. He showed that adiabatic cooling can be very useful in warm and dry climates in particular those that have large differences between dry bulb and wet bulb temperatures (greater than 7-8°C). He showed proven examples of using adiabatic cooling as a replacement option for dry cooling, highlighting that adiabatic cooling could be most important if water consumption is a critical design factor. 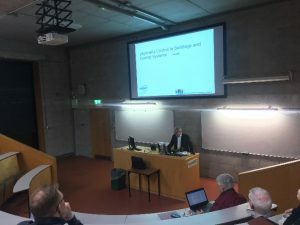 He highlighted that climatically adiabatic cooling may not be applicable in the Irish climate, saying that evaporative cooling is more efficient generally. From a data centre perspective Tom highlighted that efficiency, reliability, scalability and sustainability are critical design problems for data centre application and that cooling is a major energy consumer of between 35-50% of data centre loads. 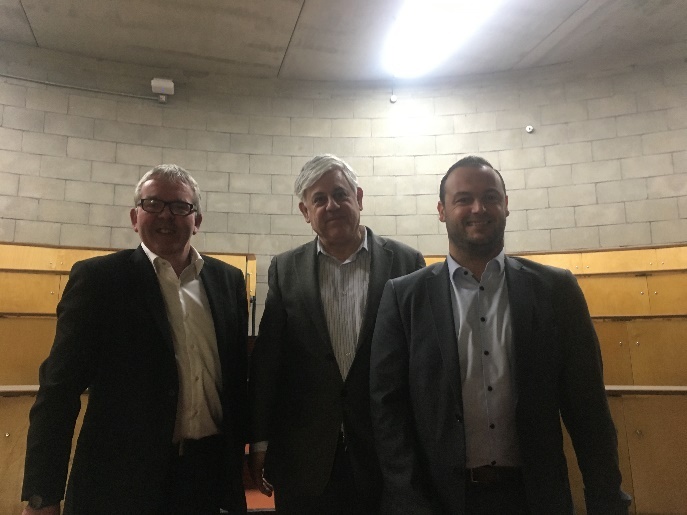 He showed that evaporative cooling can be operated for greater than 98% of the year in some cases which is a major incentive for its application to data centres. In a discussion following the event, the efficiency and environmental impact of dry, adiabatic and evaporative were discussed. 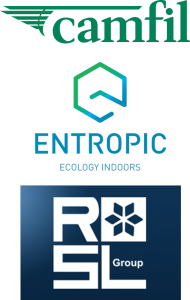 While evaporative cooling was seen as the most efficient option, Tom noted that system specific design and holistic design it critical and that cooling solutions should be considered appropriately in that manner.